Come see Steve Martin and Martin Short in "An Evening You Will Forget for the Rest of Your Life." Enjoy stand-up, film clips, musical numbers and conversations about their lives in show business. Steve Martin and Martin Short will also be joined by the Grammy-winning Steep Canyon Rangers, the bluegrass band with which Steve Martin frequently performs, and Jeff Babko. Parking is $10 and available at Lambeau Field. A Gold Star Ticket is not only your ticket to the event, but it also allows you to pre-load $25 to each ticket that must be used during the event to purchase concessions at Resch Center events. To learn about the Gold Star Ticket click here. This event has an 8 ticket limit. 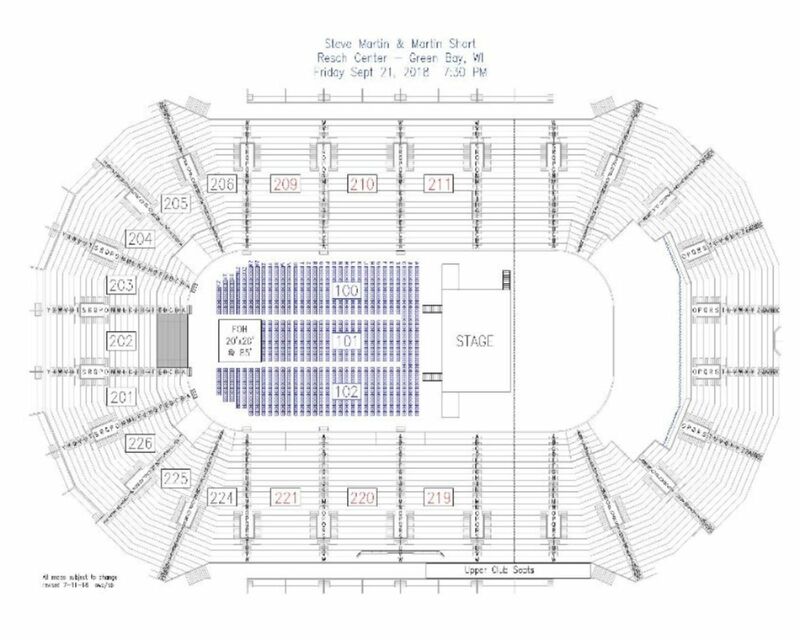 Platinum seats are also available.